The Franchettis are a noble Italian family, the Venetian side of which married into the Rothschild dynasty. Hemmingway was a family friend. An aunt married the American artist Cy Twombly. A ski jump in Cortina and several Italian roads are named after them. They own a row of palaces on Rome’s Via Gregoriana and a stake in the US textiles giant Milliken. Andrea Franchetti left school early, cycling and hitchhiking to Afghanistan, before moving to Manhattan and finally back to Rome, where he married his Sicilian girlfriend. Even more interesting, however is that despite this charmed background, his enduring legacy will be entirely self-made. 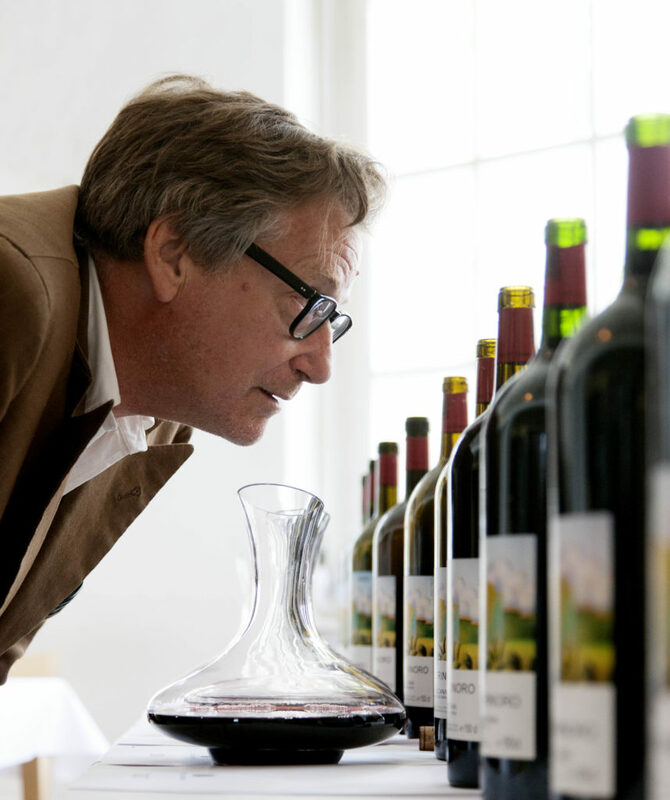 In little more than 25 years, Andrea has founded two world-class wine estates. 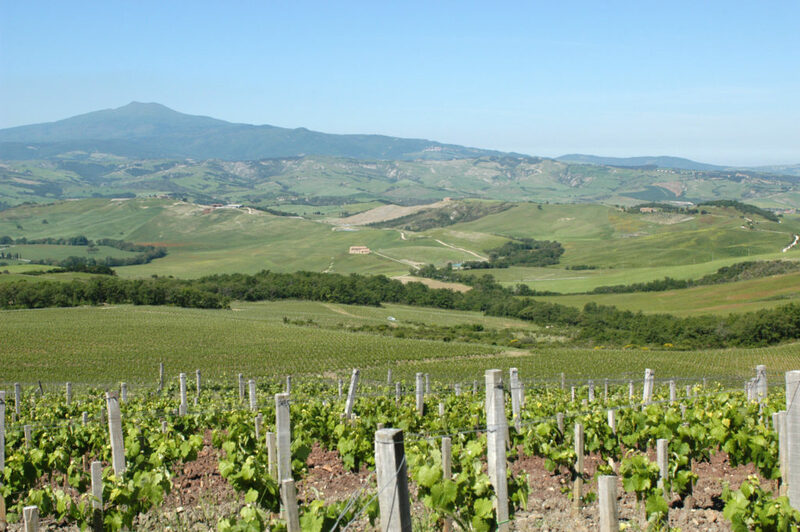 Tenuta di Trinoro in Tuscany and Tenuta di Passopisciaro in Sicily are both best-in-class examples of what can be done with Bordeaux varieties in the Val d’Orcia and with Nerello Mascalese on the slopes of Mount Etna. These are extraordinary wines, made where no one else dared (although many have subsequently followed). Corney & Barrow is proud to represent them exclusively in both the United Kingdom and Hong Kong. In 1990, the 41 year-old Andrea Franchetti spent some time alone at Trinoro. He had bought the ancient stone farmhouse and surrounding 50 hectares of land a decade earlier (by selling a Cy Twombly painting) but had never developed it. In his words, “I went crazy for the place – I was mesmerised”. He decided to make wine there, planting the first vines in 1992, with the help of friends in Bordeaux. Andrea admits that agriculture seemed “the most boring thing in the world”. He also had little love for Tuscany’s native Sangiovese grape. Inspired by the “earthiness and elegance” of the great Cabernet Franc-driven wines of the right bank of Bordeaux, he resolved to make this unfashionable variety the focus at Trinoro. The first commercially released vintage was 1997, since when Tenuta di Trinoro has become an outstanding ambassador for both Cabernet Franc and this previously unknown corner of inland Tuscany. The estate’s 100% Merlot wine, Palazzi, provides a supple yet full-throttled counterpoint, whilst the young vines cuvée, Le Cupole, is an unmissable introduction to Trinoro. A mild winter and spring, a cool start to summer, then ..
August had two hot weeks, during which the winds dropped. Andrea points to this as key to the development of body in his 2016s. September saw some rain, causing the grapes to swell a little. The Merlot started to ripen on 18th September and the team prepared for harvest, which started on the 24th. “I thought: this will be sensational wine”… The last load of Merlot came into the winery at the end of the long day of the 30th. In the first days of October, a light rain fell on the Cabernet Franc. Picking of the first hillside plots started on the 10th, restarting on the 12th after a brief rainy interlude. “The advancing moon was dragging the fruit into supermaturity”, meaning more pickers were drafted in, picking the remainder on the 12th and 13th. Frost, then drought, then “brilliant regeneration” ..
As in much of Europe, the Val d’Orcia was hit by frost on the morning of 19th April 2017. Starting at 3am, the Trinoro team lit fires in all of the lowlying vineyards, in an effort to stave off the worst of the frost. Although most of the primary buds were damaged, the secondary buds, hidden in the shoots, were saved. In the affected vineyards, the decision was therefore taken to strip the vines of any surviving fruit, to ensure that the grapes, the fruit of these second generation buds, would all ripen at the same time. Understandably, Andrea called this “a long and tiring process”. This was also a drought vintage, the parched summer conditions making it necessary to spray water into the air at night-time from tractors to try to keep the foliage moist. This was done every night for three months, until the estate’s reservoirs lay empty. Fortunately, this coincided with the beginning of autumn, which saw cooler weather return and allowed a late surge of development in the vines. The bulk of the Merlot was picked at the end of September. The Cabernet Franc came in from 12th-14th October and the Cabernet Sauvignon on 24th October. Growing vines on an active volcano is not for everyone. This is a landscape scarred by violence. 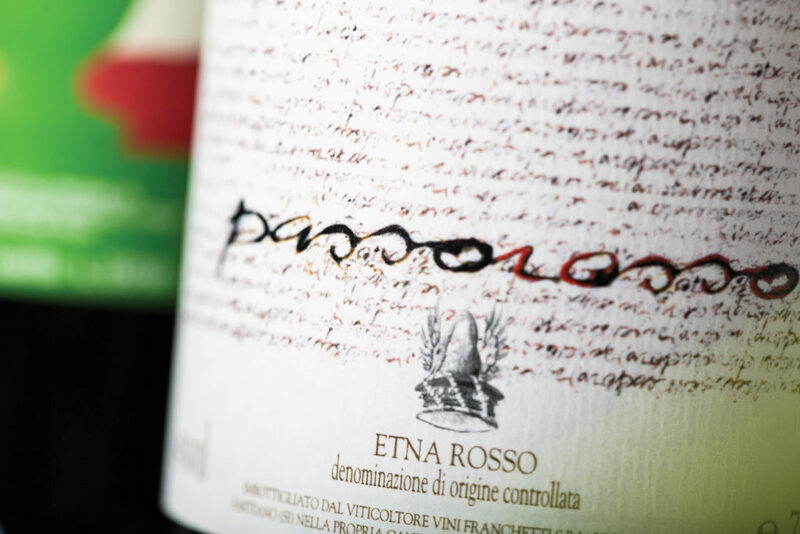 A huge eruption in 1947 demarcated the core of what was to become Tenuta di Passopisciaro. 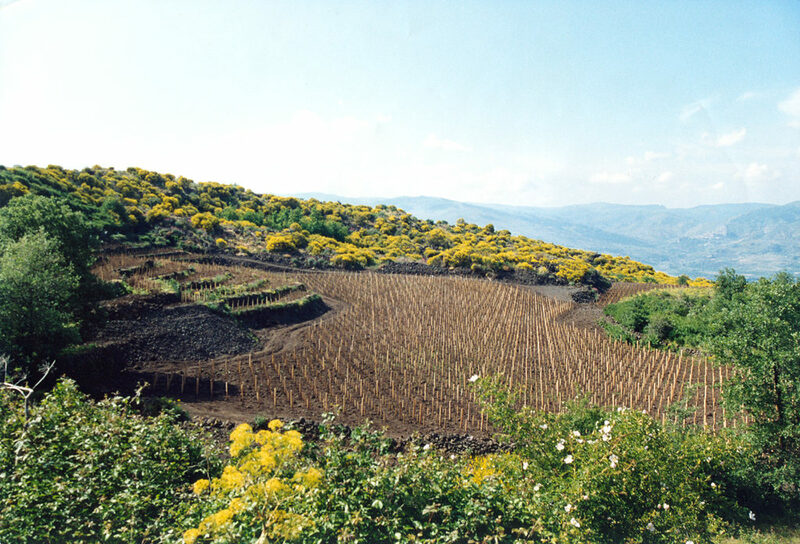 As a result, the estate is bordered at its upper limit by a ridge of black gravel, which is the cooled lava deposit of that eruption. 2016: Deeply coloured, ripe wines, with gentle tannins. Andrea called this a joyous vintage to make, in which it was not necessary to “push and squeeze in the tank”. 2017: Late summer and early autumn saw steady ripening, making for a leisurely and predictable harvest. 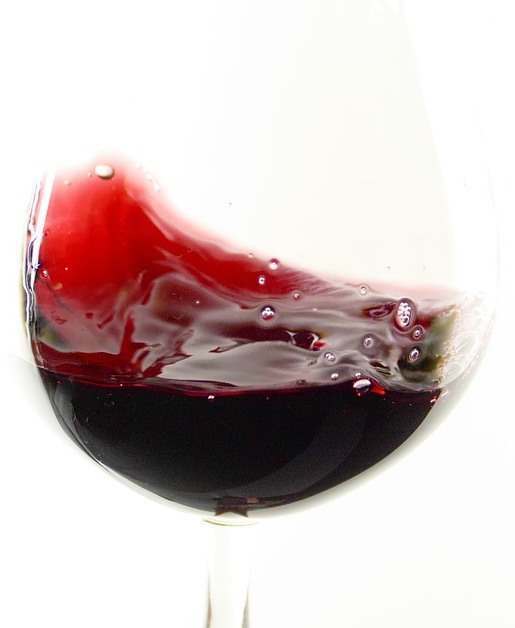 The red wines are cherry-fruited with bright, fresh acidity. Read the full 2016 and 2017 offer for Vini Franchetti here.